Candidates to run on the 99%party ticket for every office in the land. Your help in organizing the 99% Party Nationwide. 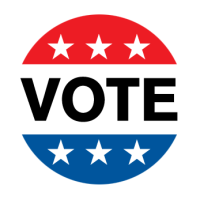 Experienced candidates and political volunteers to get 99% party candidates on the ballots in every state. on line teleconference convention so everyone can participate and vote in the nominating process. No more delegates or superdelegates. Lawyers and Prosecutors to identifiy, file charges against and prosecute those responsible for the unconstitutional, criminal harrasment, pepper spraying and beating of demonstrators seeking redress of grievance. Contributions to help with the legal defense of those illegally arrested while demonstrating. Contributions to help fund our 'Victory in 2018" campaigns. 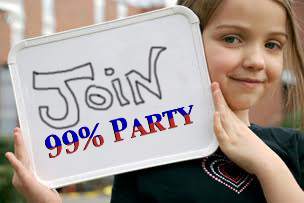 Your help in placing ads for the 99%party on your personal, business and political websites, sending links to this website to your email lists. 80 % to help fund candidates running on the 99%party ticket and to fund legal challenges to require all states to use verifiable paper trail voting machines and end all forms of voter suppression. Thank you for your contributions! Help Fund The 99% Party. Help the 99 % Parties lawsuit to require every state in the union to use Verifiable paper trail voting machines or hand count the ballots . 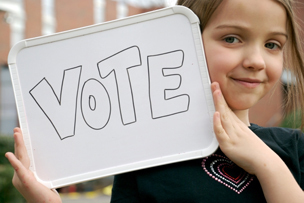 Help our lawsuit to require every state to end all forms of voter suppression. To the best of our knowledge, the non-original content posted here is used in a way that is allowed under the fair use doctrine. If you own the copyright to something we've posted and think we may have violated fair use standards, please notify us using the contact link and form above. We will remove any text, images and video in violation if that is your wish.